A state lawmaker has asked the attorney general to weigh in on whether the state’s transportation agency can use voter-approved funds to rebuild or expand highways that will also include toll lanes alongside them. Cars back up during afternoon weekday traffic on southbound Interstate 45 in Houston north of downtown. Toll lanes were supposed to stop popping up alongside Texas highways. At least, that’s what voters who approved billions of dollars for new state transportation projects thought. 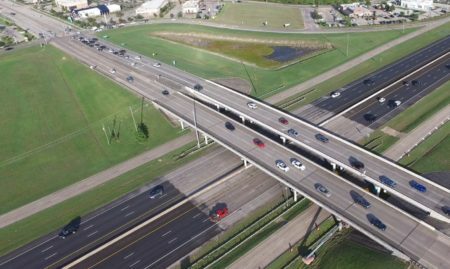 Yet the Texas Department of Transportation’s latest plans to unclog congestion in the state’s largest urban areas call for building a bevy of managed toll lanes as the agency rebuilds and adds new lanes to existing highways. “It’s a mess,” said State Rep. Joe Pickett, who is seeking an attorney general’s opinion on whether a controversial new TxDOT financing idea is constitutional. At issue is billions of tax dollars that Texas voters in 2014 and 2015 overwhelmingly agreed to spend on highway projects. Those constitutional amendments steered existing sales taxes and oil and gas taxes to the transportation agency, which now stands to receive an additional $7.2 billion in the next two years. The landslide support of Propositions 1 and 7 came in part because the state touted the fact that the money would be constitutionally forbidden from being spent on toll lanes. But transportation department employees are considering using accounting maneuvers to divvy up the mix of tax dollars and federal loans so that toll lanes could still be added when the agency rebuilds or expands existing Texas highways. Highway corridors that could see managed lanes include U.S. Highway 183 and Interstate 35 in Austin, the eastern portion of LBJ Freeway in Dallas County and I-35 in San Antonio. The idea is that Prop 1 and 7 funds would be spent on the non-tolled main lanes, while the new toll lanes next to them would be funded through gas tax revenue or federal loans that don’t come with restrictions on using them for toll projects. 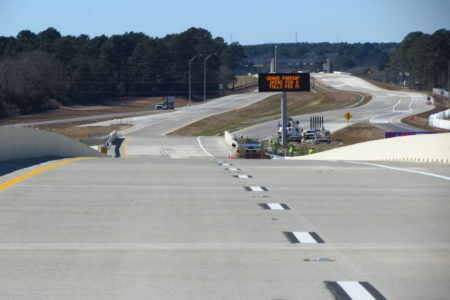 Transportation officials say funding the managed lanes with federal loans backed by toll revenues, while adding non-tolled main lanes with tax dollars, would help TxDOT build more capacity with limited funds. 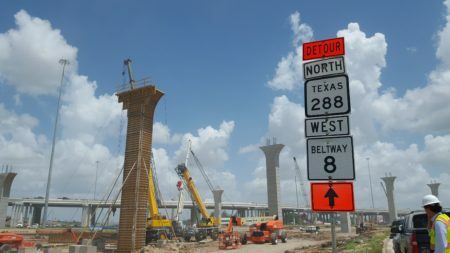 “I don’t see that as inconsistent with the constitutional mandate,” said Bruce Bugg, who chairs the Texas Transportation Commission that oversees TxDOT. But a litany of conservative Texas groups, including those who heavily influence Texas politics, disagree. Gov. Greg Abbott vowed in his first state-of-the-state address to secure more money for TxDOT so highway capacity could be added without new toll lanes. Bugg, who like the commission’s other members is appointed by the governor, said Abbott’s staff is aware of the financing mechanism TxDOT is exploring. Abbott’s office did not respond to requests for comment this week. “Gov. Abbott needs to put his foot down to stop these rogue actions, which undermine his administration,” Fleming said. 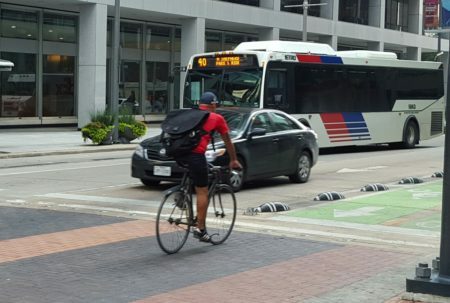 The transportation commission and TxDOT staffers are currently hammering out the state’s Unified Transportation Program, which lays out the long-term plan for funding and prioritizing transportation projects. The commission plans to include in a 2018 update of that document a list of major highway projects that aim to achieve one of Abbott’s chief priorities: unclogging congestion in the state’s metropolitan areas. TxDOT is currently considering whether to include in the long-term plan 17 urban highway rebuilds and expansions, many of which are facing funding shortfalls. Many projects on that list also include managed toll lanes under the plan. Such lanes, sometimes called express lanes, run alongside non-tolled main lanes and generally charge drivers rates that vary based on usage. The tolls increase as the managed lanes become more clogged so that fewer people enter the lanes, with the goal of preventing them from becoming more congested. “The end result will be that traffic in the main lanes will be better,” said Victor Vandergriff, a state transportation commissioner. Managed toll lanes were added to LBJ Freeway in Dallas when that infamously traffic-clogged corridor was rebuilt almost two years ago. John Brady, the strategy and revenue director for the project, said the addition of managed toll lanes has reduced overall congestion by 60 percent. But the managed lanes may not ease congestion for very long. 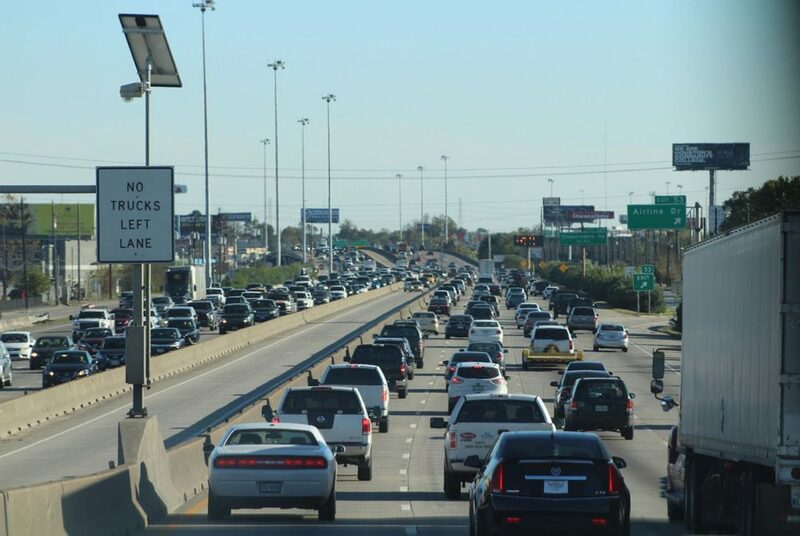 Dave Ellis, a senior researcher at the Texas Transportation Institute, said a concept called induced demand — where drivers who had avoided a congested highway begin using it after it’s improved — has erased the effects of widening other Texas highways. In addition to adding capacity, the managed lanes are seen as revenue generators for future road projects. Once construction loans are paid off, the tolls could generate revenue to pay for maintenance of the main lanes and help build other new roads in a particular metro area. Michael Morris is the transportation director for the North Central Texas Council of Governments, which sets policy and steers federal funds to projects in the Dallas-Fort Worth area. That region has seen several new managed toll lanes, like those on LBJ Freeway, in recent years. Morris said he plans to continue building more. One reason: They could be reserved for autonomous vehicles as such technology becomes more mainstream. Vandergriff said the transportation commission has yet to formally weigh in on whether using Prop 1 and Prop 7 dollars on roads alongside managed toll lanes is constitutional — or even complies with the spirit of what voters were promised. Pickett, the El Paso Democrat who is seeking an attorney general’s opinion on TxDOT’s financing idea, championed the legislation that helped create Prop 1 and Prop 7. He said legislators in 2019 will likely push bills that further limit how Prop 1 and Prop 7 money can be used — regardless of how the state’s top attorney rules on his request for an opinion. “The devil is in the details, as they say,” he said.